Once again Friday Fictions are here! Hosted by our own Rochelle Wisoff-Fields, please click on her name if you are interested in joining us! For those of you who just want to read some really good fiction you can also click on Rochelle’s name, then scroll down to the cute little blue guy and click on him. From there you will have a plethora of choices for your reading pleasure. What makes it so interesting is that all the stories come from the same picture. It is amazing how many different things can come out of the same source. So join us and be prepared to be amazed! A storm was approaching. I could feel the pressure in the air. Far off rumblings of thunder rolled. 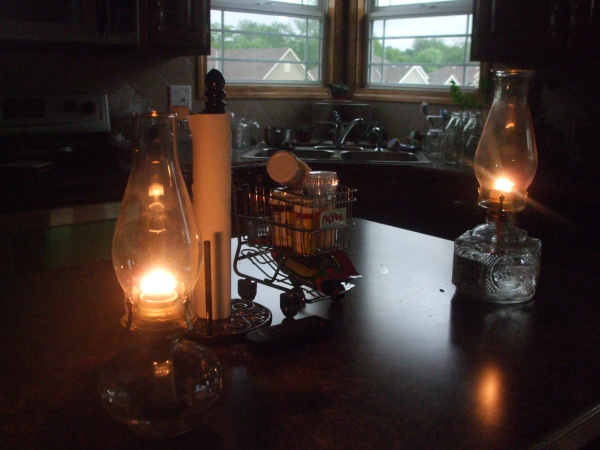 Electricity off already, nothing to do but light the oil lamps. Glows warm the house as I wait. Raising my eyes to the window with awe, the excitement builds in my soul. Unbelief wars in my heart. I was responsible for this? My first real spell had worked? The coven will be so pleased. Glancing down I read the next spell in the ancient tome. I was a daughter of a daughter of another five, chosen for power. I felt my ancestors smile. well done. second paragraph totally changed things unexpectedly. “Unbelief” shouldn’t that be “disbelief”? also, “all ready” why not “already”? also, if she was ” in the ancient tomb” would there be windows? I have so much to do, am moving at the end of the month, plus some new diabetic meds are messing with my mind and body. I can’t seem to sleep, but it is starting to straighten out. Unbelief is actually the word I wanted, so I am keeping it. The defination of it is: the state or quality of not believing; incredulity or skepticism, especially in matters of doctrine or religious faith. glad to help. unbelief? not familiar. thanks for teaching me a new word. I taught you??? for me that is a red letter day! I taught the teacher!! Won’t see that happen too often. Seriously though rich, I DO appreciate all the help. The writing won’t get better if I don’t get help and you are one of the best. thanks very much. glad to help and read. looked up “unbelief.” usually used in a religious sense, such as an “unbeliever.” not usually used in a situation like this: “i stared with unbelief as the dog pulled the boy from the burning building.” but the way you use it, i can see how it goes with believing or not believing in something in a religious direction. i didn’t see that the first time. I have to admit I hesitated in using it, but….. Wicca is a type of religion so in this case it was used in a religious usage, so I kept it. Sometimes it’s good to use words one wouldn’t normally. true? yes – except when one uses words they have to look up just to be different. my rule is never try to impress a reader with a big word or make a reader go for a dictionary unless there’s no choice. believe it or not, I didn’t have to go to the dictionary for the word. I can see where others might have to. but I’m sticking to the word. I don’t normally use big words, or really unusual words, not my style, but this one fell right in and it works for me. oh, i wasn’t referring to you. not at all. it’s the right word to use. I love where you took this! Terrific. Smoke a phatty that’ll get you right to bed….I like it! I like It! I LIKE IT! Ahhh the ancestors will be proud. Nice work my friend. Feel better and get some sleep! Nothing like having your first spell be a success to warm your cockles–Good one, Jackie. She doesn’t sound like one to mess with. Nice work Jackie. She is in training. 😉 Thanks! I think that once this woman comes into her power, she will definitely be forced to be reckoned with! I’m thinking the same thing! Have a wonderful holiday weekend! I really enjoyed the story. I like witches and spells. You should have seen my unbelief when I got to the 2nd paragraph! Well done Jackie, the ancestors have all the reason to be proud of you 🙂 I hope you’ll get some good sleep. Oh they would be shocked! and proud! 😉 Thanks tiny! Oh, Jackie, I like the twist of the witchy spell. Fun one to read! While your MC is at it, could she do something about our winter? Nicely done Jackie, enjoyed it. I enjoyed the unexpected turn of the second paragraph! … and oh what the spells may bring! Yikes! I’m a little afraid of what the next spell in the book might be. Your story made me think of Willow from the Buffy show. I haven’t thought of Willow in years! She used to be my favorite character on that show. 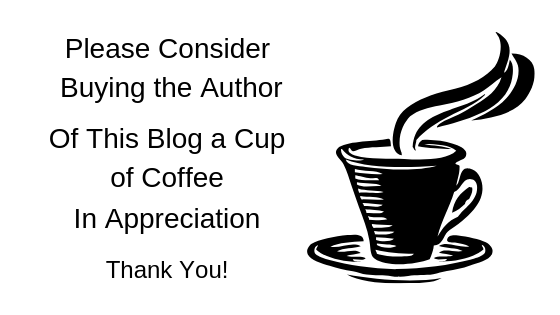 🙂 Thanks for reading! Another good short, Jackie. I didn’t expect this, and it worked well. Thanks Maddie! 🙂 I”m kind of thinking of expanding her story. What do you think?